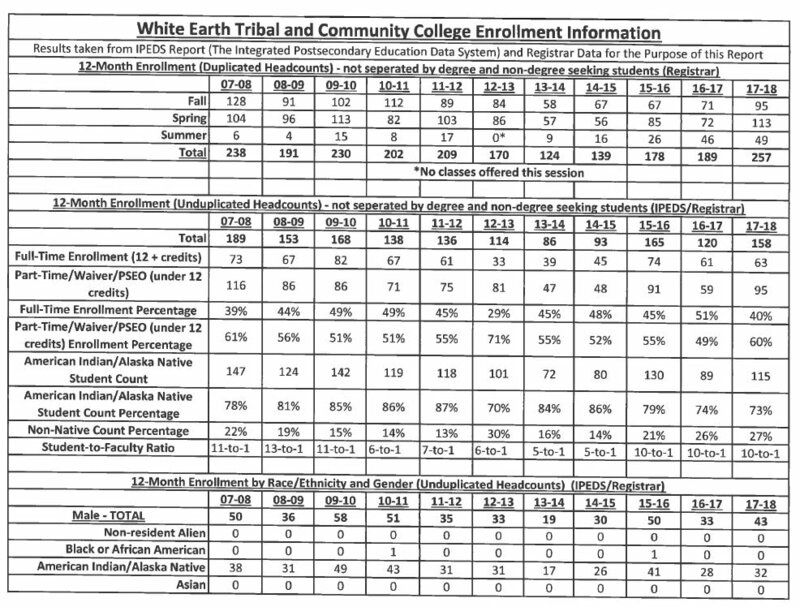 According to the IPEDS Report (The Integrated Postsecondary Education Data System) and Registrar Data since 2007-08, American Indian/Alaska Native enrollment at White Earth Tribal & Community College has remained high with an average Student Count percentage of 81% over the last 11 school years. Women have had a much stronger showing, with 77% of American Indian/Alaska Native enrolled students being female, and 23% male. 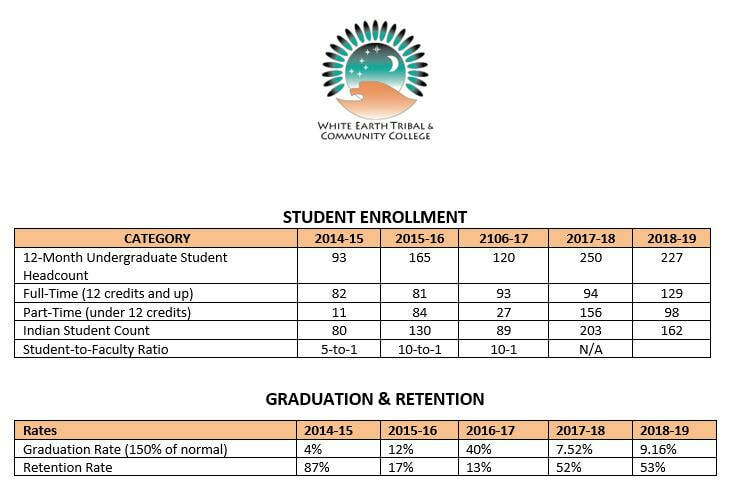 Overall enrollment has been on a constant rise over the previous 5 years, increasing over 100 students since 2013-14. Summer enrollment has also sustained a constant increase over the past 6 years leading to additional classes being offered. Female students are earning degrees at a 3.5 to 1 rate over male students, with 73 of 93 degrees awarded since 2007-08 earned by female students. 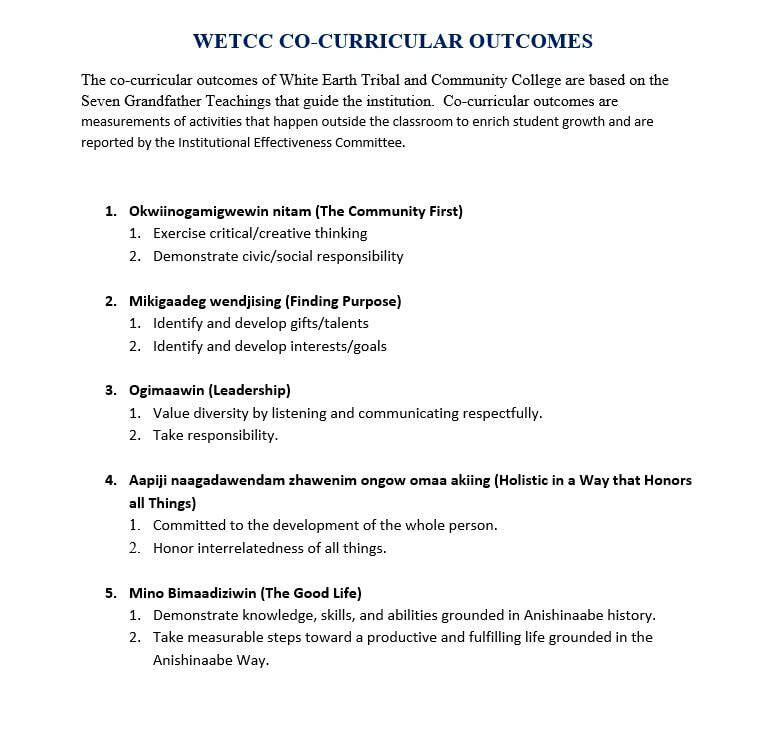 Student to Faculty ratio remains at a premium, with an average of 8.5 to 1, allowing more individual time for students, more questions answered, and more personal follow up to create a smaller, family style atmosphere in the classroom. First-time, full-time student retention rate shows a 10-year average of 40%. The most recent Academic year of 2017-2018 saw record 12-month duplicate enrollment numbers of 254, with 40% being enrolled as full-time students (12-credits or more). American Indian/Alaska Native students represented 73% of the student body population, with a faculty to student ratio of 10-to-1. 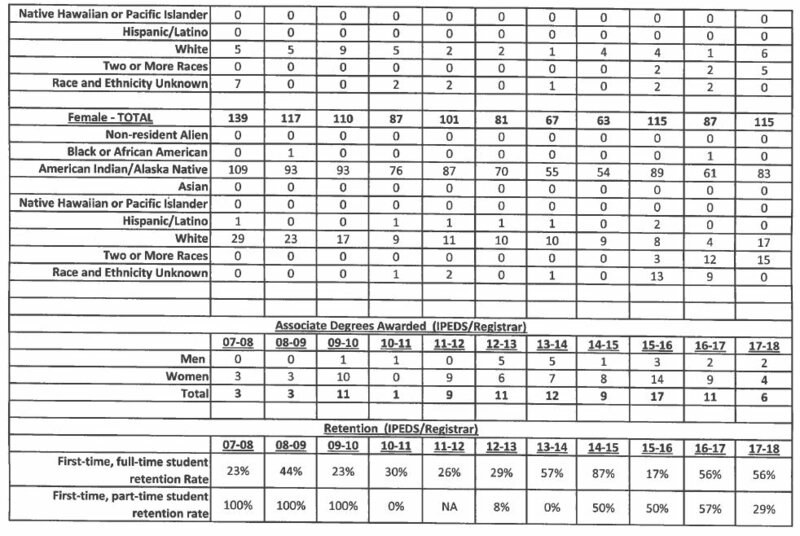 Female students represented 73% of the student body population, with 27% being male.